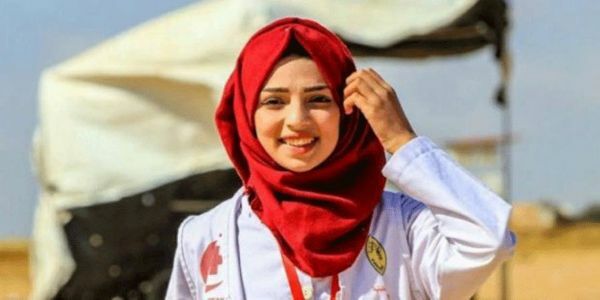 On 1 June, 21-year-old medical volunteer Razan al-Najjar was fatally shot while trying to reach injured demonstrators close to Israel's perimeter fence in Khuza'a in the south of Gaza. Witnesses said Razan approached the fence wearing a white medic's vest with both of her arms raised to show Israeli forces about 100 meters away that she posed no threat. Razan is just one of many. Over the past decade, health workers and facilities have repeatedly been attacked or impeded by Israeli forces. In total, 39 health workers were killed and 106 injured during Israel's 2008/9, 2012 and 2014 military offensives on Gaza. 147 primary health clinics and 80 ambulances were also damaged or destroyed. 2018 has been no different. Since 30 March 2018, Gaza has witnessed widespread civil society-organised demonstrations, named the "Great March of Return." Two thirds of Gaza's two million-strong population are refugees and protesters are demanding their right to return to the lands from which their families were expelled or fled in and around 1948, as well as their wider rights relating to Israel's unlawful 11-year closure of Gaza. Health workers trying to reach, treat and evacuate wounded demonstrators have also come under fire. Scores have been shot with live ammunition, directly hit with teargas canisters or have suffered teargas inhalation. Dozens of ambulances have also been damaged. By December, three health-workers had been killed and at least 533 injured by Israeli forces while carrying out vital and often life-saving work. MAP is imploring the UK authorities to do more to ensure protection and support for Palestinian health workers. Sign the petition to show you support their effort to protect health workers.